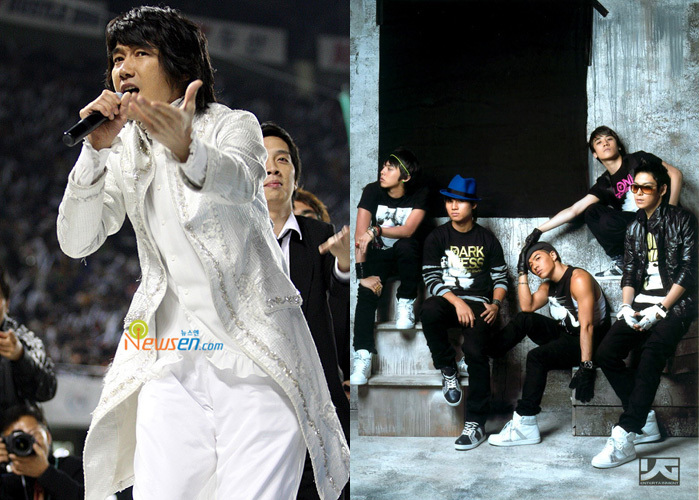 Singer Kim Jang Hoon sent his gratitude to Big Bang who stepped up to help the west sea. Big Bang recently released 2nd album “Remember” and promoting “Sunset Glow” as main. ‘Sunset Glow’ was made to help the west sea that is moaning from the oil leakage incident last year, thus brought attention. Big Bang has been revealing their thought of helping Kim Jang Hoon who has been helping out the west sea to recover back to how it was. But some netizens criticized that Big Bang is using the west sea incident commercially. Due to this pitiable situation, Kim Jang Hoon decided to cheer Big Bang.